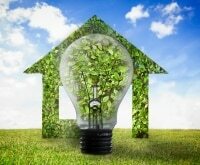 We hear a lot about how to be more eco-friendly, how to go “green,” and how to live a more sustainable lifestyle. However, let’s be honest: Not a lot of us implement those tips with great success with so many other problems and chores on our plates. The thing is, if we don’t do our part to help the planet, who will? There’s never a better time than Earth Day (today!) to make a pact with yourself to become more conscious of our personal waste practices. 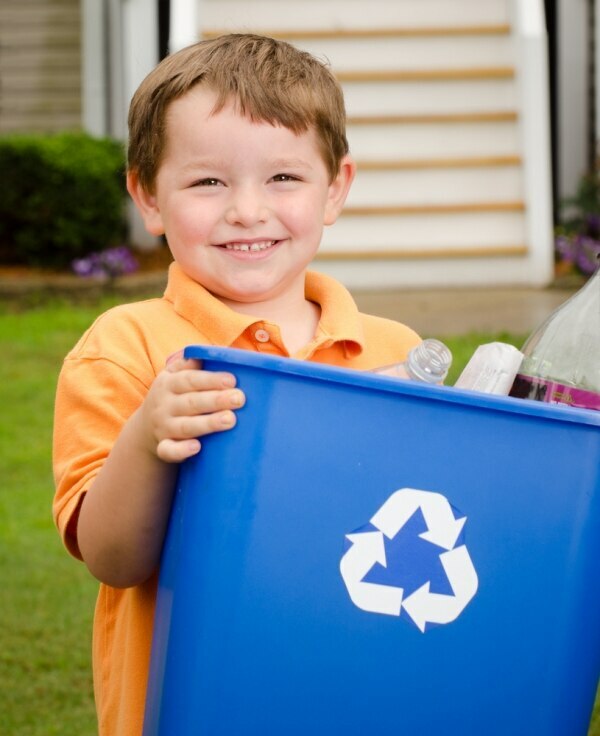 Recycling and sustainability isn’t that hard, and can be a fun family effort. 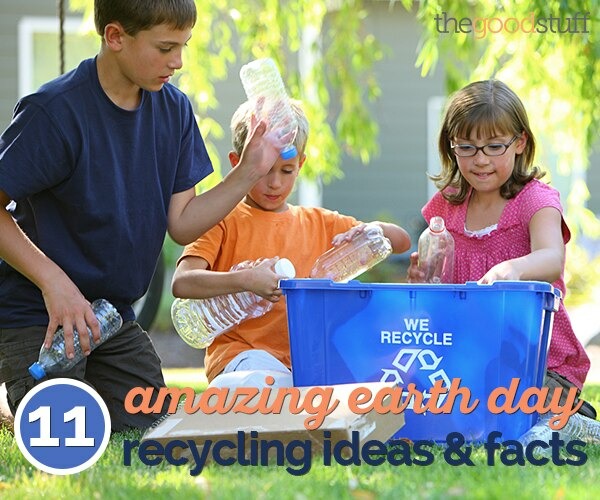 It’s time to get a little greener, and here’s 11 Earth Day recycling ideas and facts to get you started. 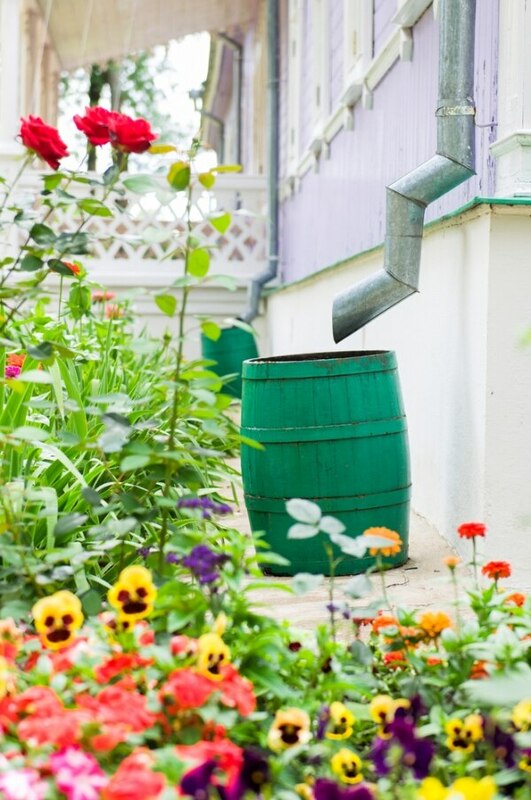 Martin Scott, a recycling expert and consultant for Fantastic Waste Removal, a waste removal company in London, says that composting is about as Earth-friendly a project as you can take on at home. “It greatly reduces the carbon footprint of your family, because it keeps a great amount of trash from the landfill,” he explains. This includes cotton, tea bags, food waste, wooden items and any other decomposable waste. 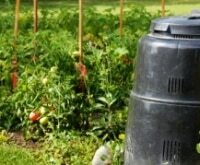 “You can make a compost bin on your own for under $20, or you can just buy one at the store,” Scott says. 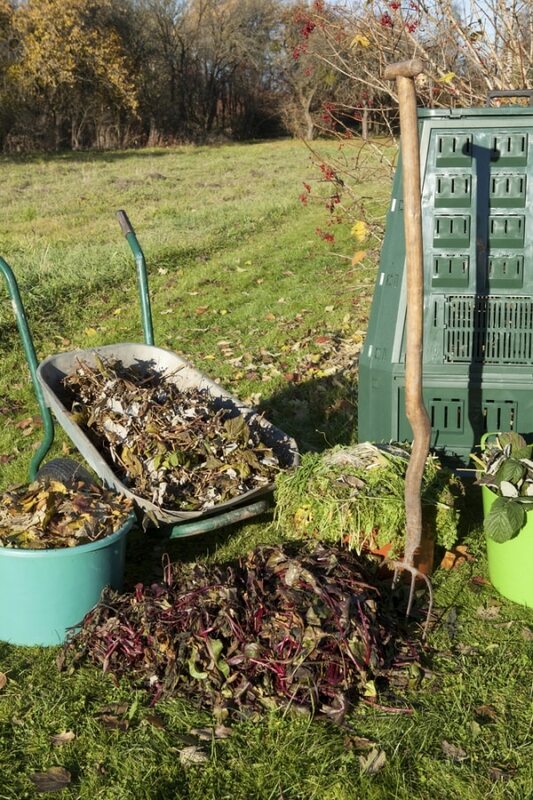 We’ve got several compost tips and facts in our composting how-to guide! 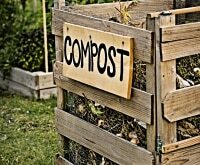 Give it a read and learn how to get started, including how to build your own compost bin. While we’re talking about food, let’s talk leftovers. When you’ve got pizza or salad to store, pack food with sustainability in mind. 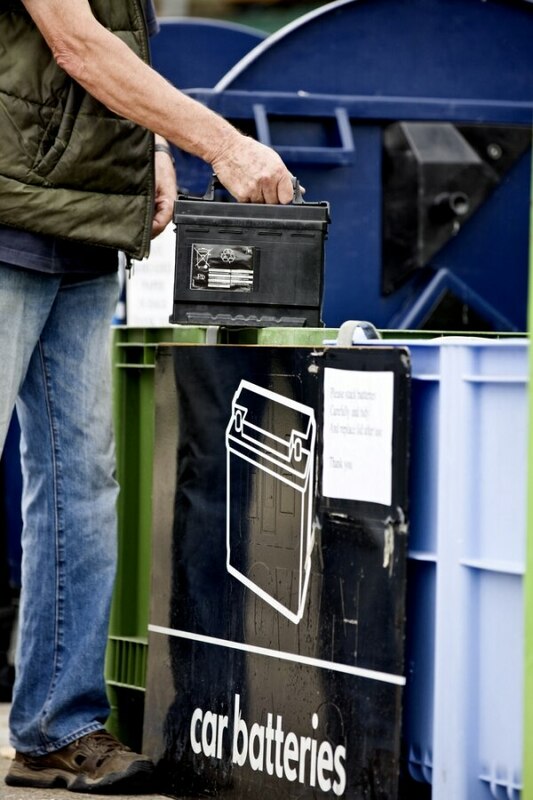 It’s another way to cut down on excess trash,” says Emily Heimsoth, a senior communications specialist at Planet Aid who educates the public about the importance of recycling and eco-friendly practices. Don’t forget to clean your your pantry, too. “Donate any unopened, unexpired shelf-stable goods to a local shelter, so that nothing goes to the landfill and you help others in the process,” Heimsoth suggests. 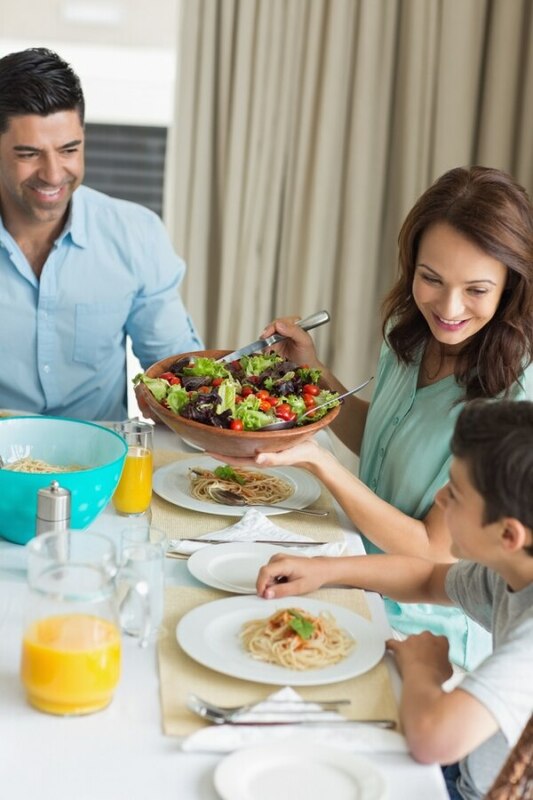 Need more tips for reducing excess waste at mealtime? Check out our 11 ways to reduce food waste, plus our waste-free week-long meal plan! Scott says some products are just “ridiculously and unnecessarily” packaged, wrapped up in so much plastic that you’d be doing the Earth a favor by avoiding the purchase. Want a Golden Rule? 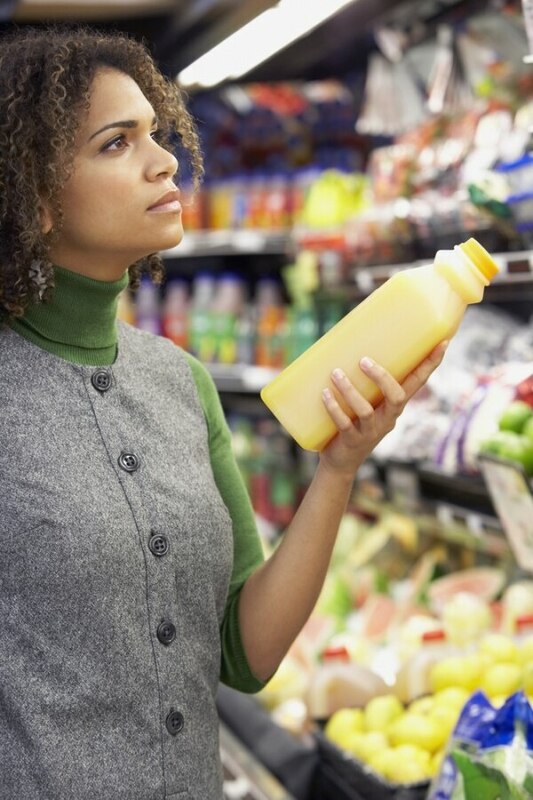 If you can find your product elsewhere without all the plastic wrap, make the effort. “Shop in bulk, use glass jars and food containers to store food, and bring your own reusable shopping bag to the store, too,” says Scott. You can donate to charity, take to thrift stores and secondary shops, or swap items with friends. “Don’t forget to check Freecycle or Craigslist before buying something new,” Scott recommends. Or make do with what’s already in your closet! If your clothes are growing tired, why not give them a quick DIY facelift — we tried it last fall with these 12 DIY fashion hacks! 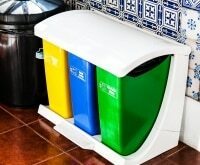 Recycling bins aren’t just paper, glass, plastic, and metal. “There are many more recycling options that don’t come with regular waste collection,” Scott says. “There are numerous centers that accept CDs, DVDs, old electronics, batteries, floppy disks, and all kinds of e-waste. 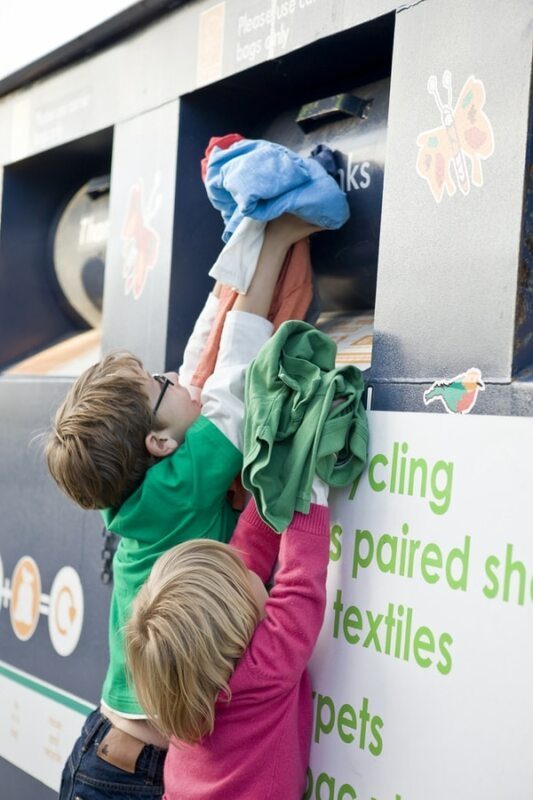 There’s also Nike’s “Reuse-A-Shoe” program that accepts old training shoes and uses them to build the surface for children’s playgrounds.” You’d probably be shocked to learn how many different sorts of items you can recycle, so ask around! Do some local and internet searches. “Be curious, proactive and explore your options,” Scott says. If you need a good place to start on your green adventure, check out our 11 ideas for easier home recycling. Just keep aiming to use more and more natural, compostable materials rather than the synthetics and non-recyclables that still populate our daily lives. It’s not even tough to pull these off, right? Although you probably just crumple up your used aluminum in a ball, you’d be kinder to the Earth by priming it for reuse. 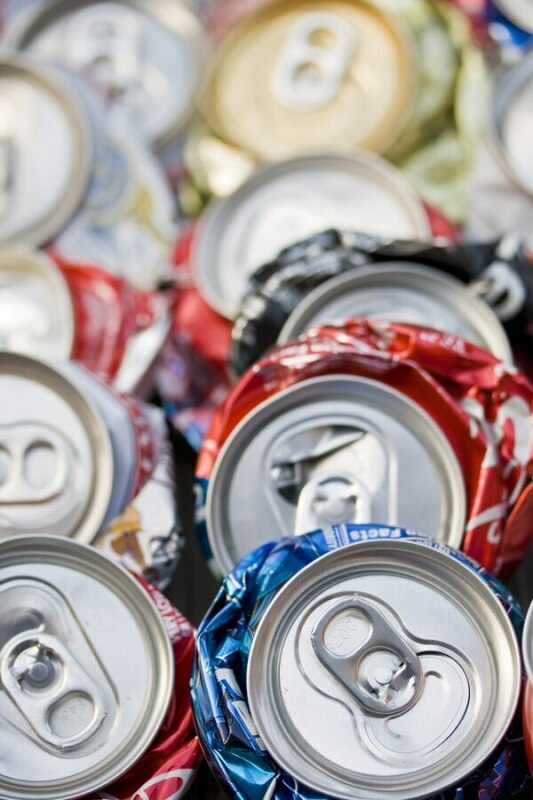 However, people tend to only recycle aluminum cans, when there are oodles of other aluminum items you could reuse. “Baking trays, pie pans, and aluminum foil can be recycled just as well,” Scott says. “It’s important to wash them a bit first, as aluminum can’t be recycled if it’s covered in food or oil.” It’s an extra 30 seconds, but you can do it! Heimsoth swears there are tons of blogs dedicated to “upcycling” or repurposing the stuff you already have laying around the house. 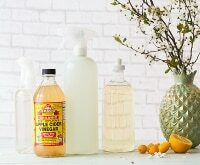 “With the combined brainpower of the entire eco-friendly blogosphere, you’re likely to find a use for almost any old item you may have,” she says. 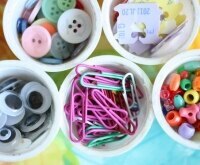 Scour the web for DIY projects, and make it a family activity. 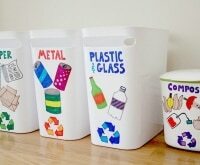 You can even create a recycling receptacle to get your kids excited about recycling more. 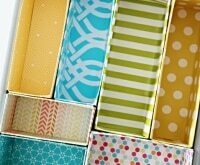 “One relatively simple craft is a homemade storage solution for collecting recyclable materials,” she says. 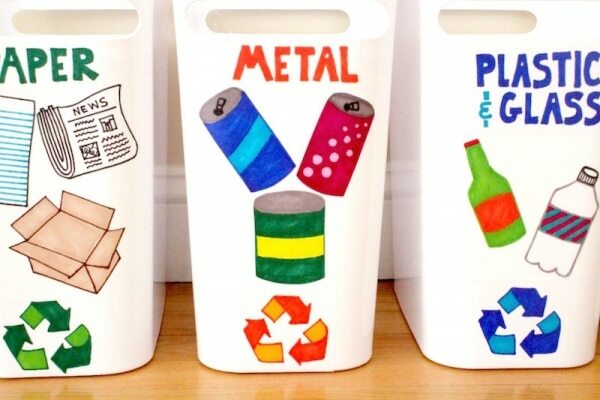 Get your kiddos excited about recycling and let them customize your family’s bins with our DIY recycling center project! Our society likes to stay as squeaky-clean as possible, and hygiene plays a major role in the waste overload we see today. 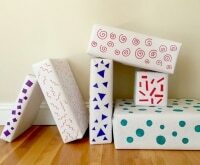 Scott says some estimates suggest a baby will use up to 10,000 diapers in his lifetime, and a woman will use around 16,800 disposable pads and tampons during hers. By using alternatives whenever possible, you can do a lot less waste damage. Reinforcing good recycling behavior ensures “green” habits stick for a lifetime, says Heimsoth. Don’t forget to treat yourself either! 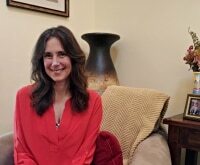 “Motivate yourself to drop off items at a recycling facility by grabbing your favorite coffee drink after the fact, or indulge in a little TV time after you’ve sorted through recyclables at home — it will make this eco-friendly deed all the more gratifying,” Heimsoth says. I couldn’t agree more. 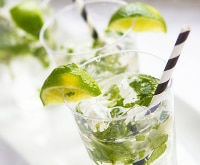 Three cheers for sustainability!